Resuscitating an Endangered Species: 11 new dolphins Born in 2016! WWF-Cambodia greets the new year with renewed hope to tackle all the environmental concerns coming our way. The source of our hope comes from the results of our previous year. Our team works tirelessly to protect the dolphins and it’s extremely rewarding to see results that reflect our work. We present below a chart that explains our results. The graph shows us a comparison between last year and this year. Our dolphin mortality rate has reduced 30%, a reduction from the death of 9 dolphins in 2015 to only 6 dolphins that passed away this year. This is a direct reflection on the state of law enforcement and other efforts from our conservation team. We have spotted 11 new dolphin calves between the 21st of January 2016 – 31st December 2016. We were delighted to find a dolphin calf on the 31st of December, it was a wonderful way to end one year and start the next. 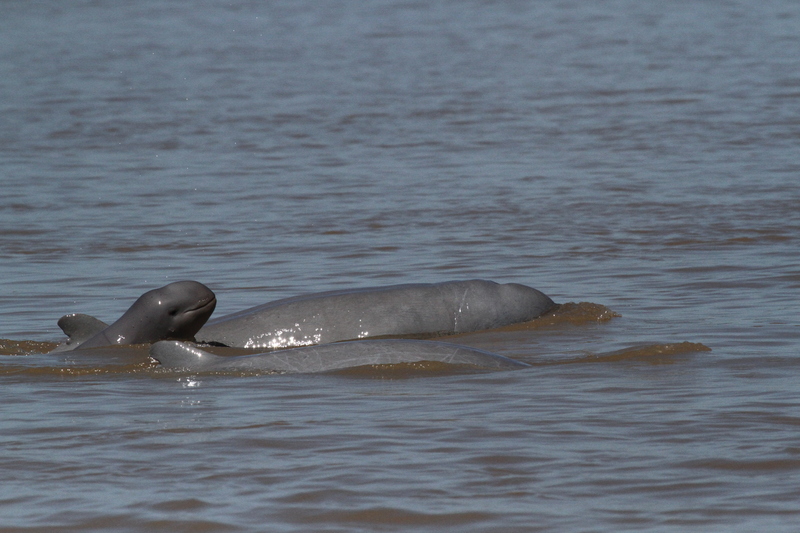 These dolphins were found in the Mekong river. Thereby adding 11 new dolphin calves in 2016 to the population of this endangered species. 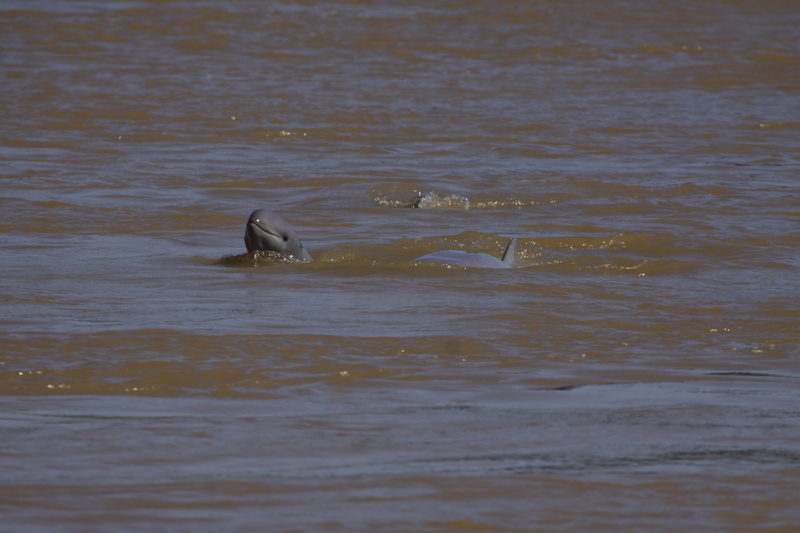 Seven dolphin calves from Kratie, three in Stung Treng and the last one from Kampi pool. These are the results of the conservation efforts that have been performed for the whole year. Mekong Flooded Forest (MFF) has required strict law reinforcement training. It is the presence of the law at the flooded forest and their consistent work in tracking & capturing illegal fisher folk and removal of gillnets and constant vigilance that helped us get where we are. In Cambodia, it is only with the joint and collective support from the government authorities, civil society organizations, and the public that we will save this charismatic and unique species from extinction, which would be a terrible loss for Cambodia. 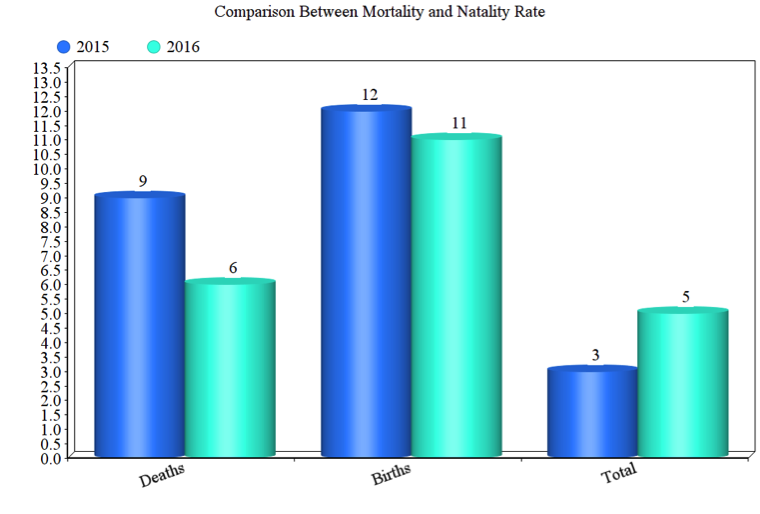 The first set of bars shows us the difference in the mortality rate. The second set is the natality rate. There was one lesser calve born this year. The third is the total, i.e., the difference between the above mentioned statistics. 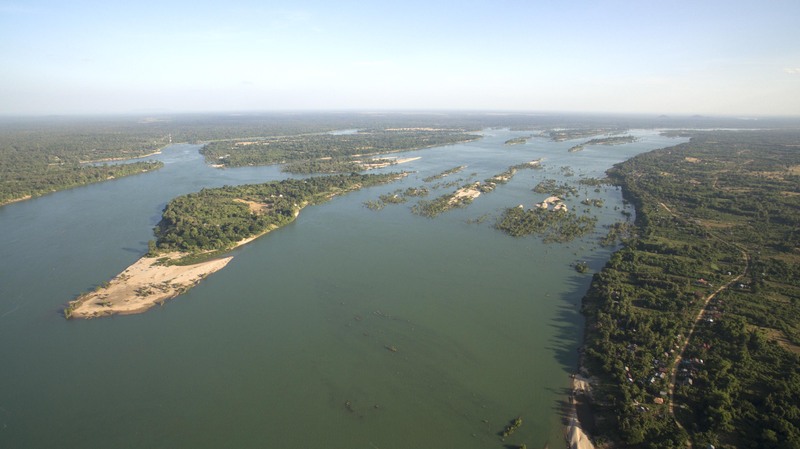 WWF-Cambodia has been working for over a decade in collaboration with the Fisheries Administration (FiA) to protect and conserve this last population of Irrawaddy Dolphins in the Mekong River.